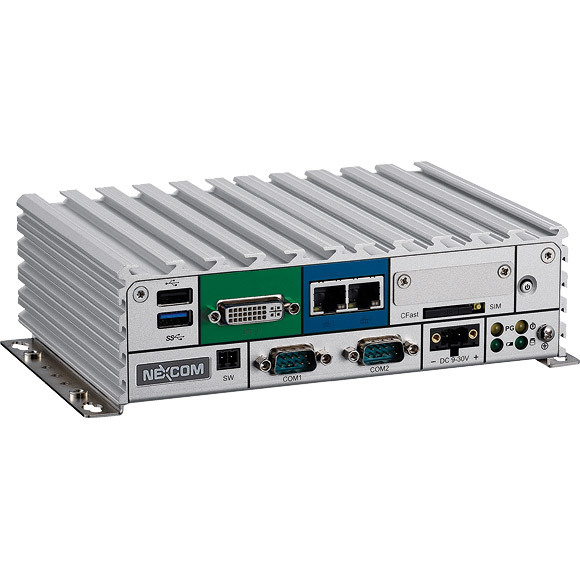 Powered by the latest generation of Intel® Atom™ processor E3826 (formerly codenamed "Bay Trail-I"), the NISE 105 provides outstanding performance not only on computing but also on graphics, and it presents a brand new opportunity for both intelligent and industrial computing solutions. NISE 105 supports up to 4G DDR3L memory and have several options on storage devices like CFast, HDD and SSD. 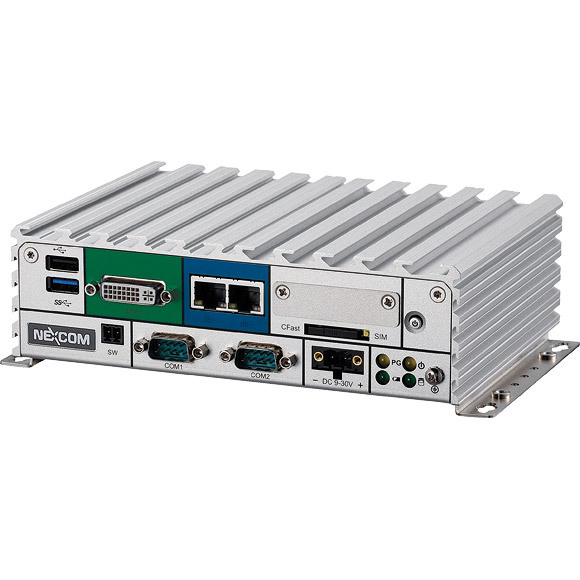 The NISE 105 is also the 1st system in Compact NISE 100 series to support extended operating temperature from -20 upto 70 degree C with wide DC input range from 9-30VDC. In addition to no cable connection on the NISE 105, it brings NISE 105 the sustainability to work in harsh environment both with temperature and vibration concern. 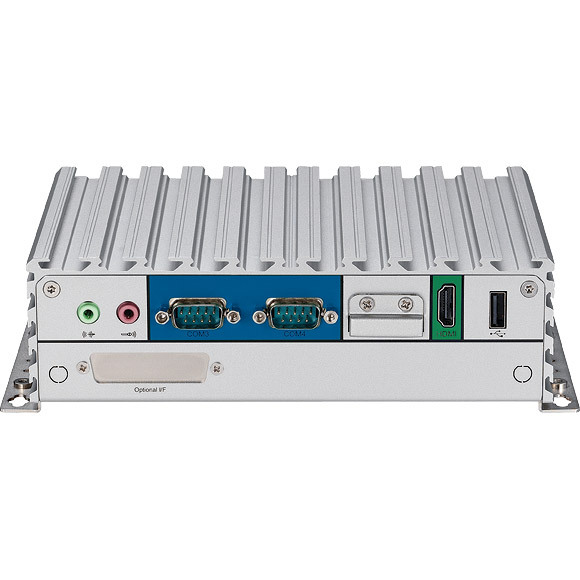 The NISE 105 has high integration ability with optional Mini-PCIe module and 4 x COM ports, which makes it a real intelligent system for various applications such as factory automation applications (with optional PROFIBUS, ProfiNET, DeviceNET, EtherCAT, Ethernet IP master module), network applications (with optional GbE LAN, Wi-Fi, 3.5G/4G LTE module) and communication applications (with optional GPIO, RS232/422/485). 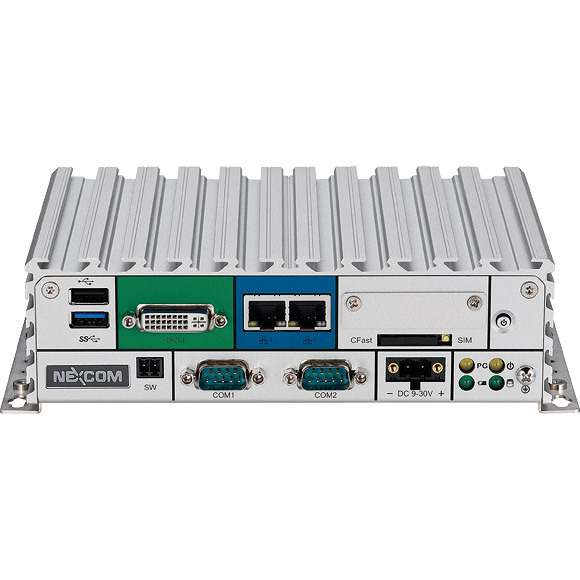 NISE 105 is definitely the top choice for M2M intelligent system and factory automation platforms.